Dog friendly double / twin room. 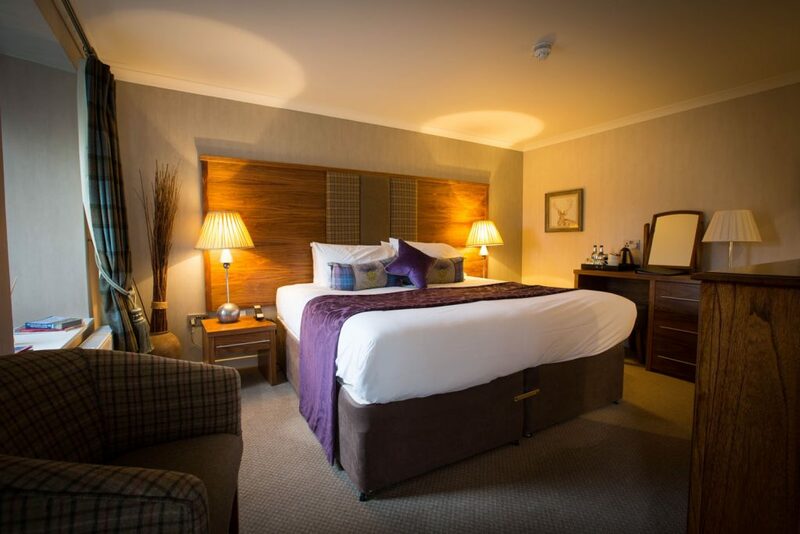 Adjacent to the main hotel, Tomintoul is a garden room with premium pillows and soft white cotton bedding, dog bed and bowls. Located in the steading a short walk from the main hotel, overlooking the gardens and the Cairngorm mountains. A Superking / Twin room with contemporary Scottish décor and an en-suite with double shower.